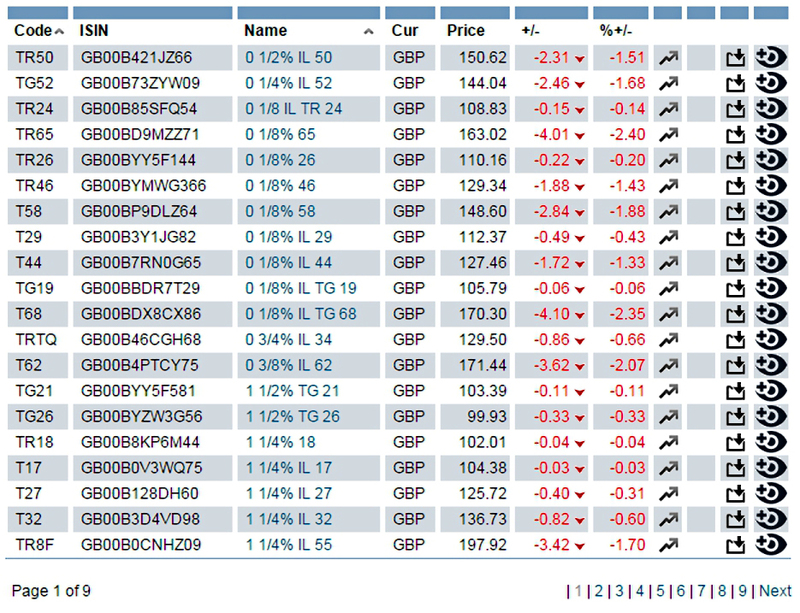 Today we’re going to look in more detail at the Order Book for Retail Bonds (ORB). Is it really suitable for the private investor? We learned a couple of weeks ago that the Order Book for Retail Bonds (ORB) is an initiative from the London Stock Exchange (LSE). ORB data is not easy to come by. The LSE has a statistics page for the ORB. The tables for January 2016 are shown below. 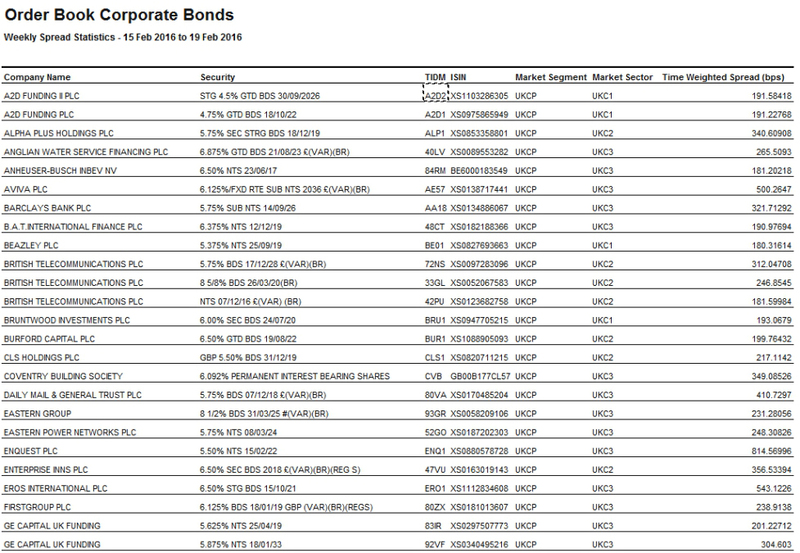 There’s also a weekly spreadsheet which reports spreads, but can also serve as a list of the available bonds. The official list of ORB bonds can be found here. Today’s list had 179 bonds on it and did not include any price data. 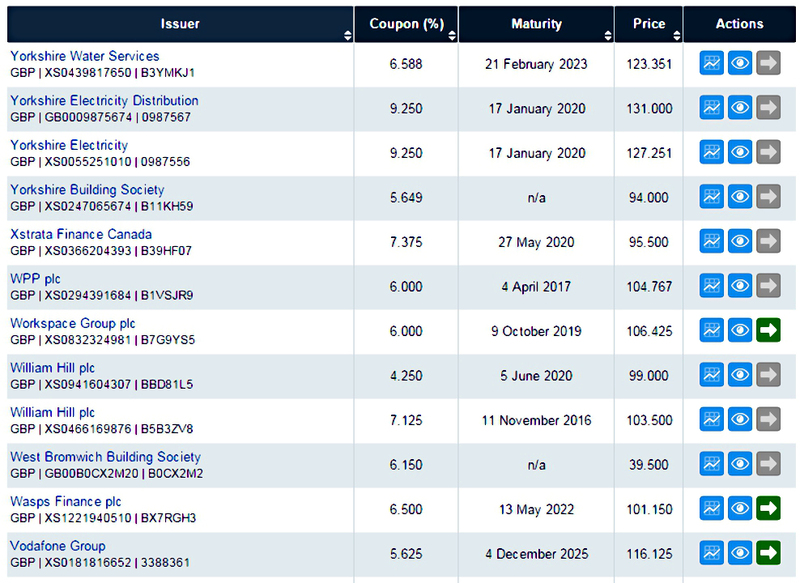 But the Code and ISIN fields should allow us to combine this price data with the official list of bonds in order to work out the yield to maturity of every bond (more on this below). 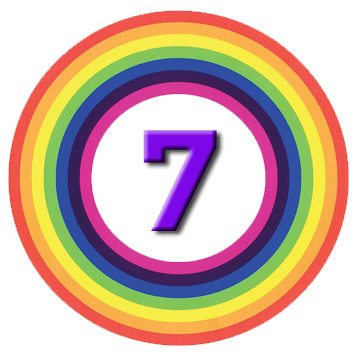 Let’s catch up on some bond characteristics we didn’t cover in the previous article. Gilts use the ACT/ACT (actual / actual) convention to allocate the interest. Many corporate bonds use a 30/360 days convention, where there are assumed to be 30 days in the month and 360 days in the year. Now we know a bit more about how bonds work, let’s look at how we can trade them. I have accounts with four of these though I’m in the process of closing the iDealing account. 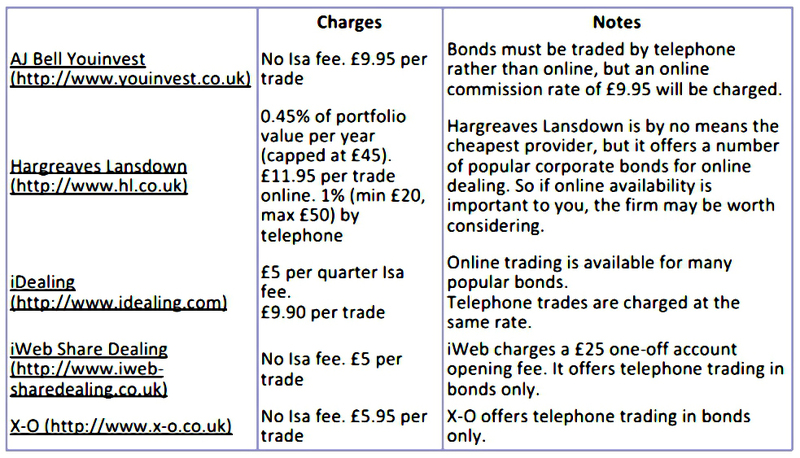 This is a pity, since along with Hargreaves Lansdown, iDealing are one of the only two brokers to offer online bond trading. Online trading has become a deal-breaker for me, so this is another case (as with pension drawdown) where I am somewhat surprised to be recommending Hargreaves Lansdown (HL). The page itself is unreliable – the picture above is sorted in reverse alphabetical order because that was the only way I could get the data to refresh. So it looks as though we’ll need to treat HL as a dealing site only. It looks as though the platform may be struggling a little – peak issuance was back in 2012. This is probably not a problem in the short-term – the beauty of a bond ladder is that it’s “buy and forget” – but it’s a potential worry for the long-term. We’ll know more next time when we look at the available bonds in detail. I still like the sound of them, but the bad news is that they don’t seem to be available in the UK. I did find a paper from Vanguard suggesting that they might not be so useful after all. But they would say that, wouldn’t they – they seem to offer only traditional bond funds themselves. I think we can finally decide whether a bond ladder is feasible for the UK private investor with one more push. So that’s the chore for next week.